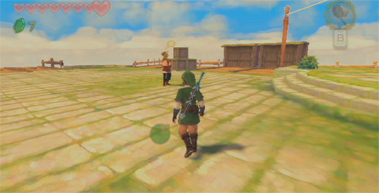 You can only start the Skyward Sword missing sister quest after completing the lost child quest. He’ll tell you that his sister has gone missing. To complete the Skyward Sword missing sister quest, fly towards Fun-Fun Island and you should find a very small island with the sister and her Loftwing there. Fly back to the sister and her Loftwing can now be healed. The sister will give you five gratitude crystals, and you can get an additional five crystals if you go back and talk to her brother again. 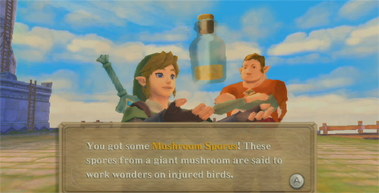 You’ll also get to keep the empty bottle you got the mushroom spores in!